Choosing velvet as the upholstery fabric for your sofas is a wonderful way to add character to a living room. Indeed, this fabric always evokes a feeling of elegance and luxury, especially when used on a significant piece of furniture such as a sofa. But when did velvet sofas make their first appearance? Though they have some forerunners in the Egyptian, Greek and Roman worlds, sofas entered into the European picture quite late, during the 18th century. During this time the word “sofa” began to be used to indicate “long stuffed seats”: it came from the French sofa, which in turn was borrowed from Turkish sofa, indicating a bench made of stone or wood. As a matter of fact, upholstery fabrics were a rather new element in interiors, as well as stuffing other than dried sea moss: craftsmen started to use fabrics to cover pieces of furniture and to employ horsehair to fill cushions not earlier than the 16th century. Before that, the only home textiles were bed linen and curtains, but this century saw some improvements that reduced home cold and humidity levels. The first sofa trendsetter was the country where this word originated: France. Its baroque, neoclassical and Louis XVI sofas were popular all around Europe. 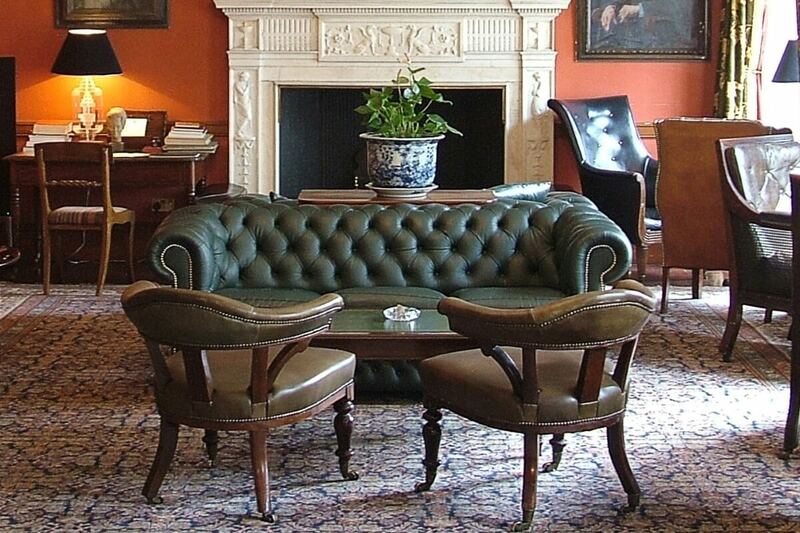 But already during the 18th century another country came on the scene: the United Kingdom, with its Chesterfield sofa. According to tradition, this sofa owes its name and invention to Lord Philip Stanhope, fourth Earl of Chesterfield (1694–1773). The nobleman was looking for a seat that didn’t crease his clothes, so he gave a craftsman the task to solve his problem. The result was the first completely stuffed sofa, with no visible wooden structure and covered in leather. Its back already showed its peculiar capitonné upholstery: craftspeople create some squares by hand, whose corners are fixed to the internal structure using buttons. The original version, though, wasn’t as comfortable as the modern one: the ultimate Chesterfield was born in the middle of the 19th century, and soon became one of the most beloved pieces of furniture in Victorian homes, covered either in leather or velvet. Velvet sofas were back in vogue during the Seventies, riding the wave of celebrities’ passion for velvet clothes and upholstery. Abandoned for some time, it was back on the catwalks and in interior design in recent years: its aim is to give a bohemian look to homes, as well as a both elegant and welcoming air. But contemporary sofas are different from couches of some decades ago because of their colours, too: from soft pastel notes to bright and strong colours such as emerald green, blue and red. Here you are some ideas to use velvet as the upholstery fabric for your sofa: the photos you see here below show sofas covered in our velvets. Their designs are different from one another, but they all have the power to create a unique luxury atmosphere in the living room. The first two sofas show a really original solution, since they employ a patterned velvet: refined and classical such as the Casa Bianca Velvet on the sofa of Alex Papachristidis’s New York apartment, or unexpected such as the Leoni Bizantini Velvet in Juan Pablo Molyneux’s studio. If you want to add an exotic touch to your home, instead, you can use an animal pattern, just like in the examples here below, featuring our Tigre Velvet: both rooms burst with different designs, but the eye is immediately drawn to the sofa, thanks to the pattern of its velvet, standing out among all other motifs. An animal pattern, on the other hand, adds an exotic touch to any home, just like in the examples here below, featuring our Tigre Velvet. 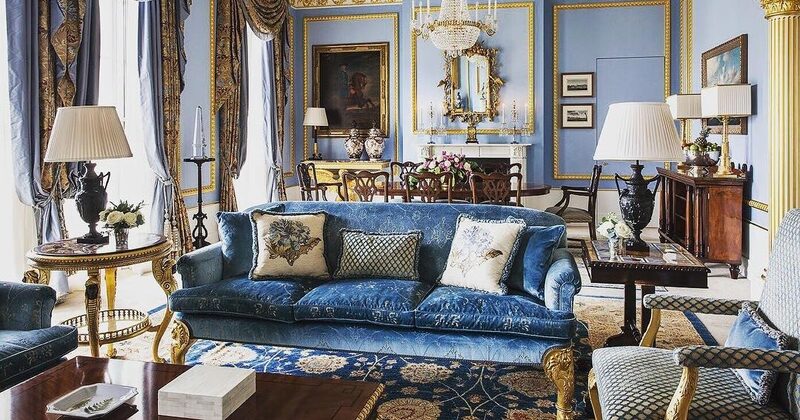 Both rooms burst with different designs, but the eye is immediately drawn to the sofa, thanks to the pattern of its velvet, standing out among all other motifs.